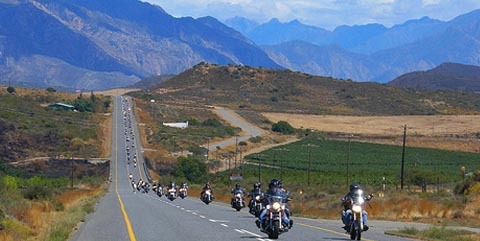 Experience the beautiful scenery of South Africa on the back of a Harley Davidson motorcycle. This unique experience takes place on a tour of the lush and green Garden Route and the world longest wine route, Route 62. You will visit some of the best wine farms in the region, take a drive on picturesque mountain passes and enjoy extraordinary vistas while passing through the renowned Chapman’s Peak and Clarence Drives. Explore the different, semi-arid landscapes of the Klein Karoo en route from Cape Town to Knysna. On your journey, you will also visit the quaint and historical towns of Swellendam, Prince Alfred and Montagu.